One pound of sweet potato fries with warm blue cheese sauce. Served with grilled iron flatbread. Four of our most popular starters. 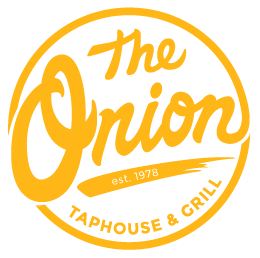 Tex Mex egg rolls, crispy chicken tenders, house made mozzarella sticks and hand dipped onion rings. Served with dipping sauces. Seasoned beef, corn tortilla chips, Cheddar, guacamole, sour cream, black olives, tomato and jalapenos. Topped with black bean corn relish, sour cream and salsa. A choice center cut sirloin steak seasoned and charbroiled. Served with our spicy Elkin’s pepper sauce and grilled garlic bread. Crispy house made mozzarella sticks with fresh basil marinara.